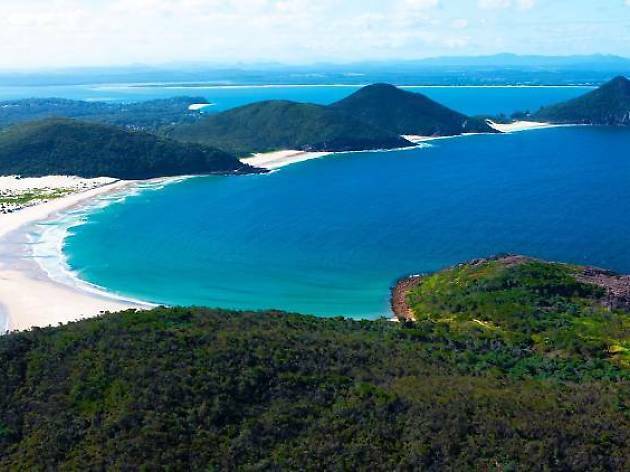 Port Stephens has a lot to offer – restaurants, quad biking and trips out to the deep, dark seas, not to mention cafés with some of the best cake this side of Black Star Pastry. 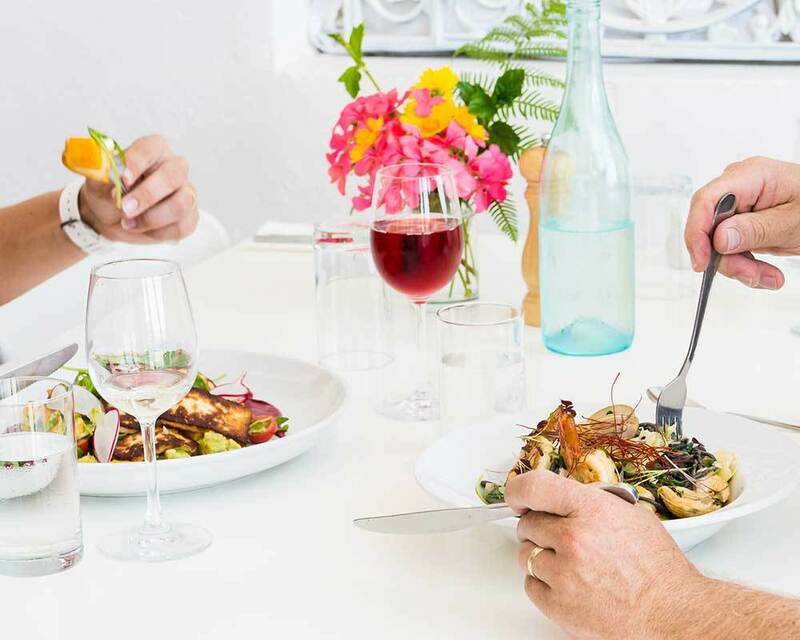 Here’s our guide to the beachside locale. Nestled on a busy stretch of Stockton Street in central Nelson Bay, Evviva opened in 2016, housed inside the old Watercress site. By day it’s a cute café, but by night it comes into its own as a tapas restaurant with a range of wines and cocktails. Sit back and feast on spiced meatballs or whole baked Camembert, or stay a little longer into the night with a carafe (or two) of wine. 14a Stockton St, Nelson Bay, 2315. 02 984 2211. 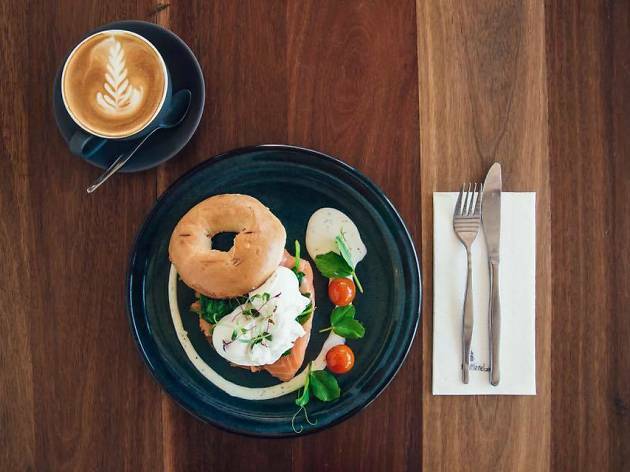 While you’re in Port Stephens, you really shouldn’t miss breakfast at Crest. 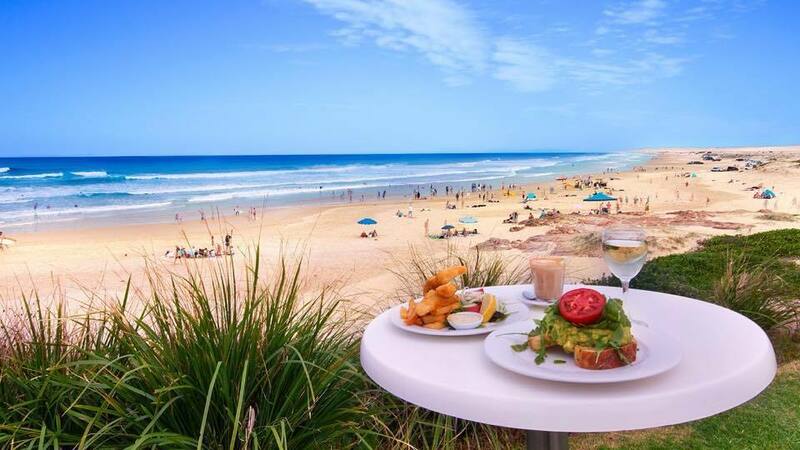 Not only is it situated right on the cusp of Australia’s largest moving sand dunes, but the food is worth stopping in for alone. 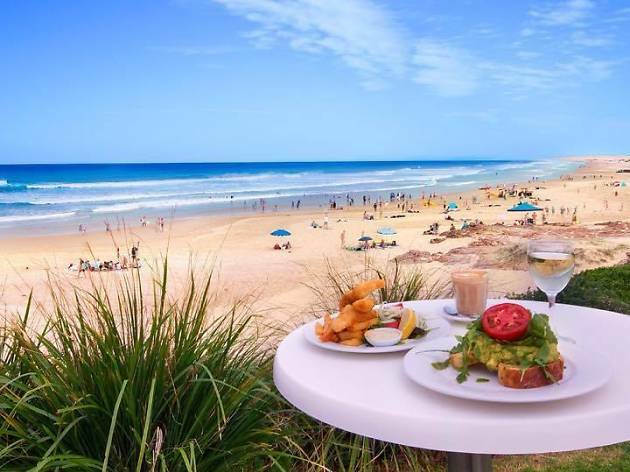 With the crashing waves of Birubi Beach before you (surfers head out in summer, but beware, these here are sharky waters) try a big bowl of steaming-hot shakshuka. It comes fragranced with cumin, with two insitu eggs, a rubble of spicy chorizo and heaps of creamy feta, alongside a generous serve of buttered Turkish bread. 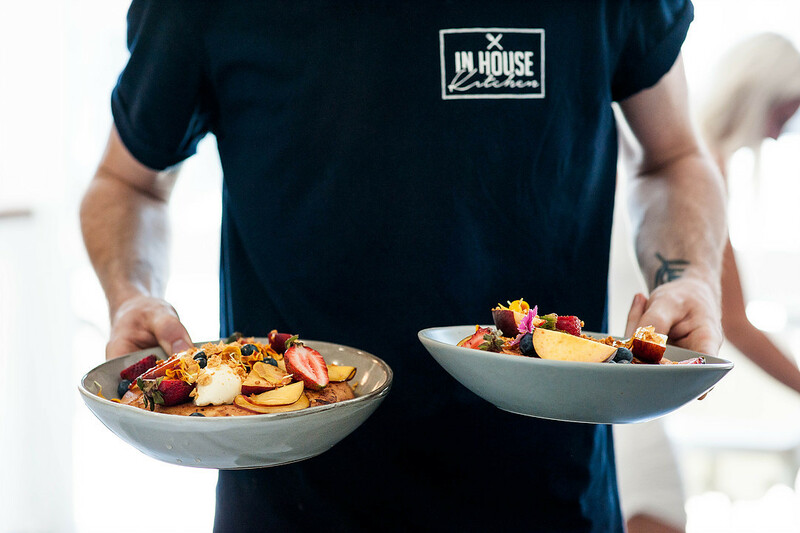 This with a solid Allpress flat white, will mean you’re going to struggle to eat breakfast anywhere else during your stay. 73 James Paterson St, Anna Bay, 2316. 02 4919 0446. When we pop into this café just after breakfast, it is positively rammed full, and the queues for tables form shortly after we manage to nab one. It’s attached to popular homewares store the Home Interior (which is worth a look too, as it happens), serving breakfast and lunch every day. The coffee is by Allpress and our flat white is smooth and rich – definitely one of the best in town. Stop in for afternoon tea. Among brownies and muffins we spy the Cake of the Day, which is yogurt and raspberry when we visit. It is excellent: the cake deeply moist and sweet and studded with fruit, layered up with buttercream icing that makes it look like something out of an Enid Blyton novel. Go on, you’re on holiday – treat yourself. 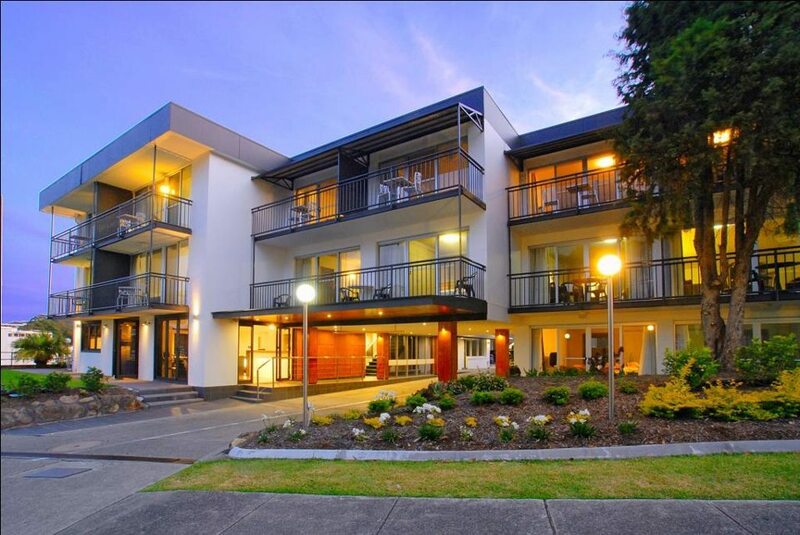 41 Donald St, Nelson Bay NSW 2315. 02 4984 4888. 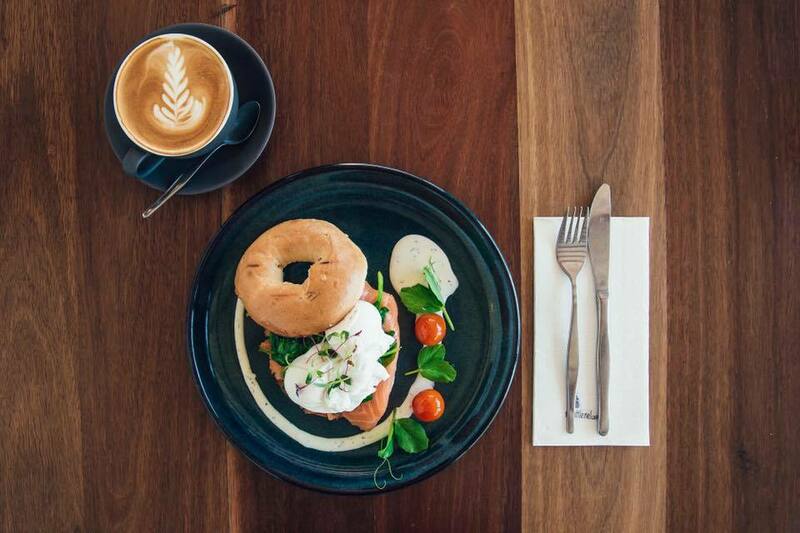 If you’re staying at the Nelson, catch a brekky at the Little Nel café. They’re also doing a shakshuka (is this a Port Stephens thing? 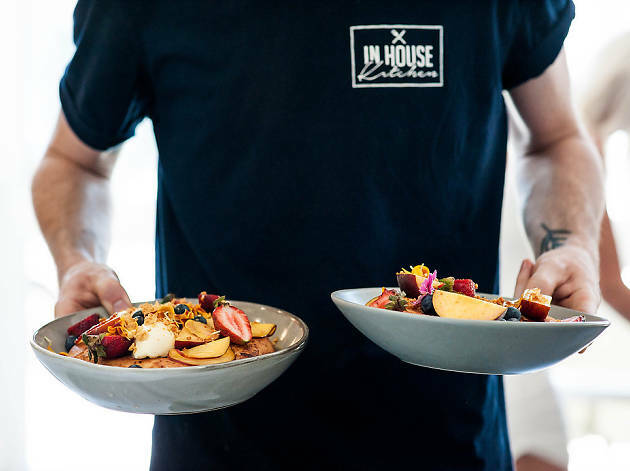 ), plus they’re making their own smoky baked beans, serving coffee from Newcastle’s Suspension roastery, and have views all over the central area of Nelson Bay. 3-7 Government Rd, Nelson Bay, 2315. 02 4916 4600. The restaurant at this delightful wharf-side shack has been around for a couple of years now, and is one of the most charming places in town for a meal (try the squid ink spaghetti with local shellfish). In 2016 they opened a bar downstairs looking directly onto the water, so make sure to stop in for a drink. Overlooking a rustic old jetty, you can sit out on the deck or keep warm by the fire inside, gazing over the bay as the sun sets. But no, that green flashing light on the other side of the bay is not Jay Gatsby trying to gain your attention. It’s just a buoy, we’re told by the lovely waitress (the buoy isn’t interested in you at all). 4 Victoria Pde, Nelson Bay NSW 2315. 02 4984 9420. Wonganella is a coastal winery situated just a few kilometres out of Nelson Bay. 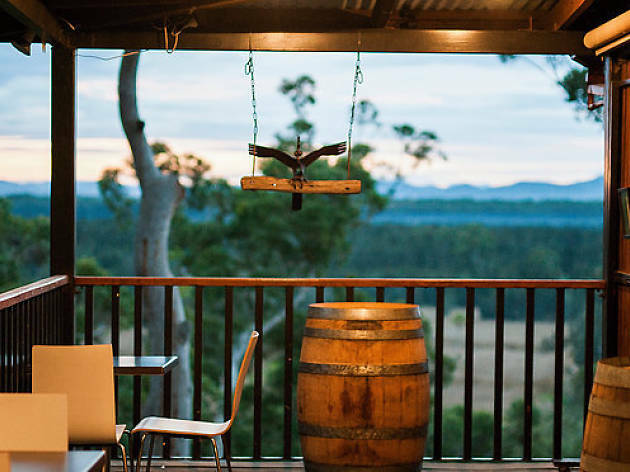 There’s a house on the property that you can rent, which boasts stunning views over the bush and countryside, or you can stop into the winery for a tasting and a spot of lunch. One of the owners’ wives is celiac, so you can expect lots of gluten-free options on the pub-like menu. We try the gluten-free lasagne with chips and salad and can see why folk have driven here to buy it in bulk ­– you’d be hard pushed to tell there is no wheat in this bad-boy. The wines are sweeter than what you might expect from the neighbouring Hunter, and unusually they do an un-oaked Chardonnay. Our pick is the Cabernet/Shiraz blend (it goes well with that lasagne too). 3439 Nelson Bay Rd, NSW 2316. 02 4982 6121. 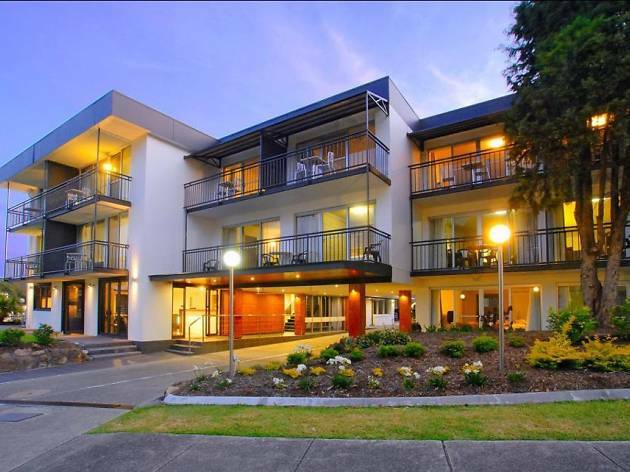 This hotel is situated right in the centre of the action in Nelson Bay, just by the abundance of restaurants on Stockton Street. Go for a suite if you want the option of a kitchenette and sitting room so you’re not eating out for every meal, but it’s hard to leave the giant, super-comfy beds with flat screen TVs anyway (is it just us, or does staying in a hotel make you stay up way too late watching TV in bed? Every time!). The baths, incidentally, are also mammoth. There’s a pool situated in the centre of the hotel, a small gym and a café, the Little Nel, from where the hotel sources its daytime room service. At night though, the hotel offers an extensive room service menu from neighbouring pub the Seabreeze Hotel, so you can have your pasta or wood-fired pizza served to you in that massive bed, if you so desire. 1 Government Rd, Nelson Bay, 2315. 02 4916 4600. We’ve all been there. We’ve travelled kilometres out to sea to try and see a whale or two and come back having barely seen a curl of seaweed float past us. 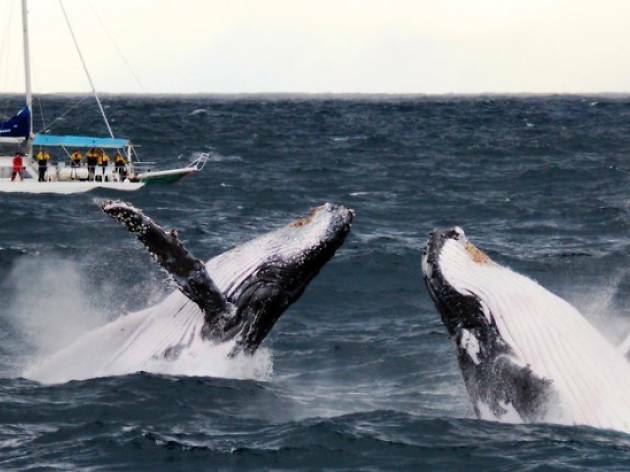 While we can’t promise you’ll see whales with Imagine Cruises, but we can definitely promise beautiful views. Even on the day we go out – torrential rain; mist, cloud and oh-so-cold – it’s worth it for the scenery alone. 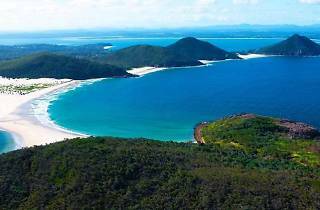 You pass by Tomaree Head (on sunnier days you can ­– and should – head up there for a hike and spectacular views over the bay) and all the way out to the deep-dark ocean. 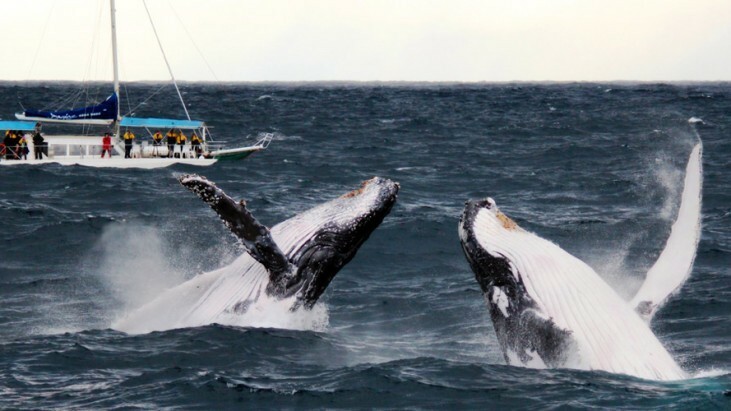 In the bay you might see one of the local dolphins frolicking about, and once you get out there properly, maybe even a whale or two. 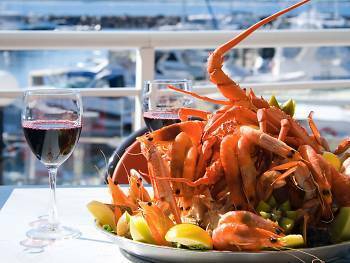 Dock C, d’Albora Marinas, Teramby Rd, Nelson Bay, 2315. 02 4984 9000. While you’re in Port Stephens, you have to go and check out Stockton Bight Sand Dunes, which are the largest moving sand dunes in Australia – as long as 32 kilometres and at points as wide as one kilometre, and steadily widening. 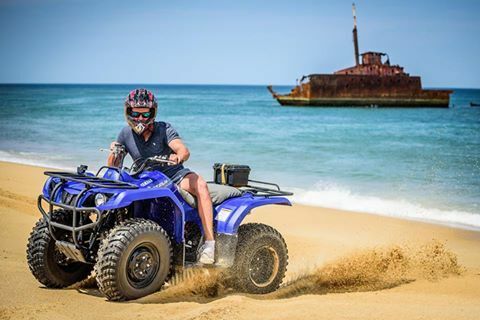 Heading out on a quad bike is the best way to see them in their entirety, aside from morphing yourself into Lawrence of Arabia, trekking, solitary, across the lonely dunes (the drama of it all might be worth it – but you won’t get very far with soft sand like this). 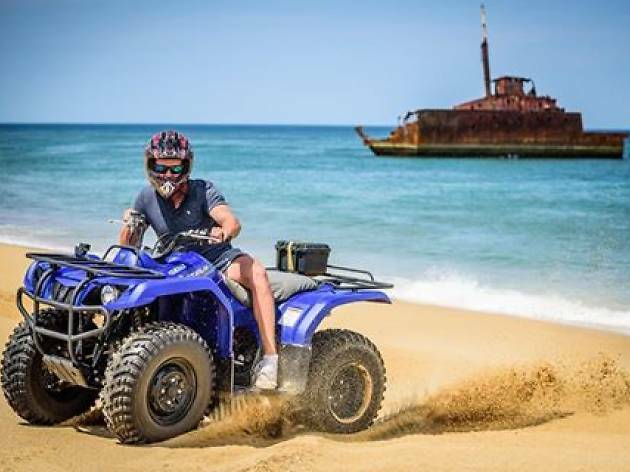 Quad Bike King offer a 1.5 hour adventure, and will see you scaling the massive peaks (some as high as 30 metres) and rushing down into sandy gullies, all from the comfort of your own personal quad bike. Come rain or shine, the bikes are out there, but they’ve got waterproofs available for rainy days that make you look like a Beastie Boy. In summer it gets super busy, so you’re likely to be in a group, but in winter you might just find you’re the only party on that particular trek, which we must say does add to the Saharan theatricality of the whole affair.2130 Nelson Bay Rd, Williamtown NSW 2318. 02 4919 0088.